Ross Promotional Products Advertising and Promotional Products Specialist. Whenever you are stuck for an idea for advertising or promotion for yourself or a client we can help. 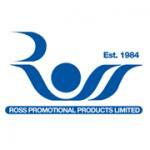 Ross Promotional Products ~ Advertising and Promotional Products Specialist Glasgow, UK. Ross Promotional Products, Advertising and Promotional Products Specialist. Stuck for an idea for advertising or promotion for yourself or a client? We can help. We stock an extensive range of promotional merchandise for any occasion and can personalise all products to your specifications. Our range includes business gifts, corporate merchandise, pens, keyrings, badges, executive items, clothing, mouse mats and loads more. Please visit our online catalogue to view all of our products. 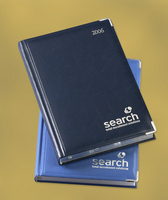 If you don't see what you need in our brochure we can source it for you. The Ross Promotional Products ethic is to provide our clients with the best quality promotional products available in the marketplace and to provide these products at the best prices around. We achieve this day in day out by constantly reviewing our suppliers to ensure their manufacturing methods are kept at the high standards our clients expect. We review our own techniques to ensure that the personalisation methods we use are the most modern and efficient available and we keep our costs low by keeping up-to-date with the most advanced time saving technology. This has enabled us to become established as one of the leading lights in our industry with customers who are more than happy to recommend us and return to us year after year. Ross Promotional Products ~ Making Buying Promotional Products Childsplay. When you visit the Ross Promotional Products website you will be faced by one of the easiest, safest online enquiry services available. All of our products are displayed with a detailed description along with the personalisation methods and choices. You can take your time to look through each individual catagory which has sectioned off each product into easy to navigate sections or use our advanced search facility to find the exact product of choice. We also allow you to download the images and details to show your colleagues before you make your choice. Once you have decided upon the item you wish to choose to advertise your brand or product then place it into your basket and enter your details. Once received we will contact you to discuss your requirements further. Remember, if you don't see what you want in the brochure we can source it for you.